1. 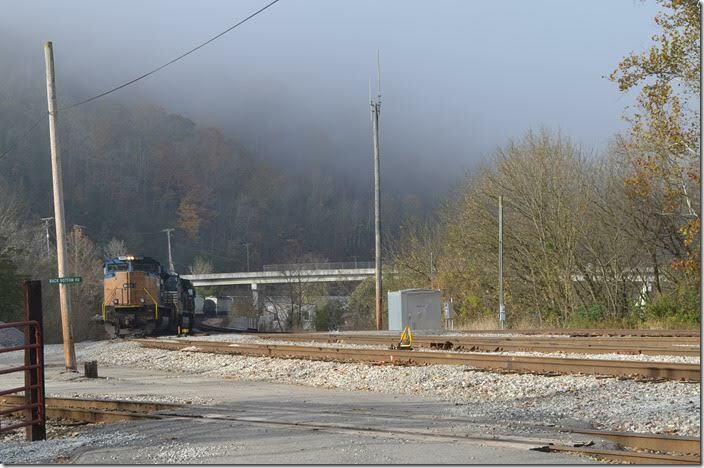 CSX 4849 on Q698 arriving Shelby. The SV&E SD diverts to the left. 11-10-2014. 2. 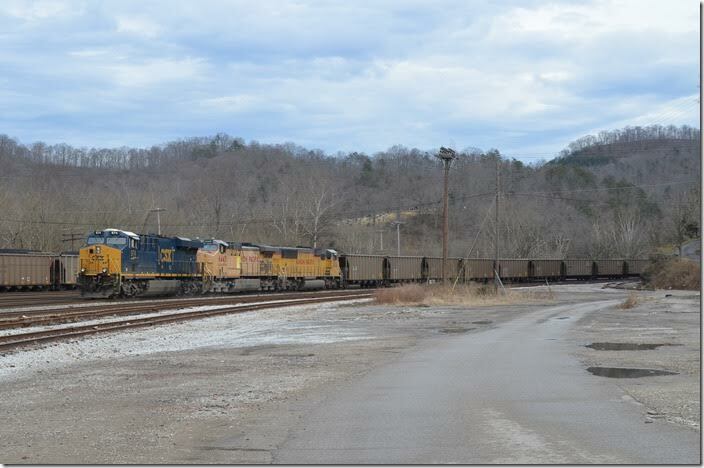 CSX 4849-NS 9893-2760 arrive on Q698 e/b. Shelby. 11-10-2014. 3. SD70ACe 4849 built 2004. 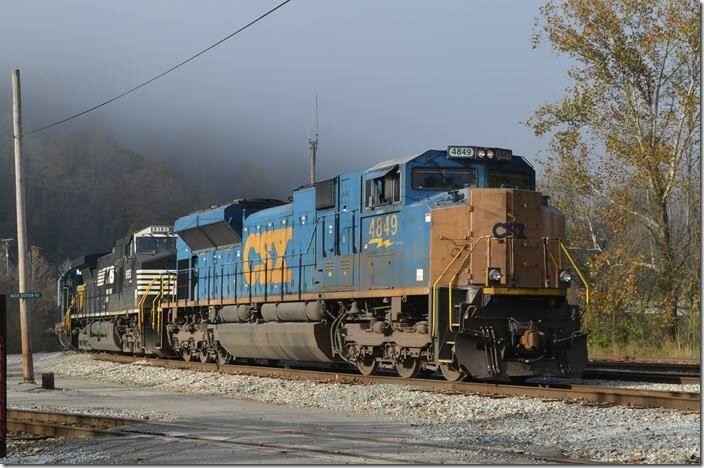 CSX 4849-NS 9893-2760. Shelby. 4. 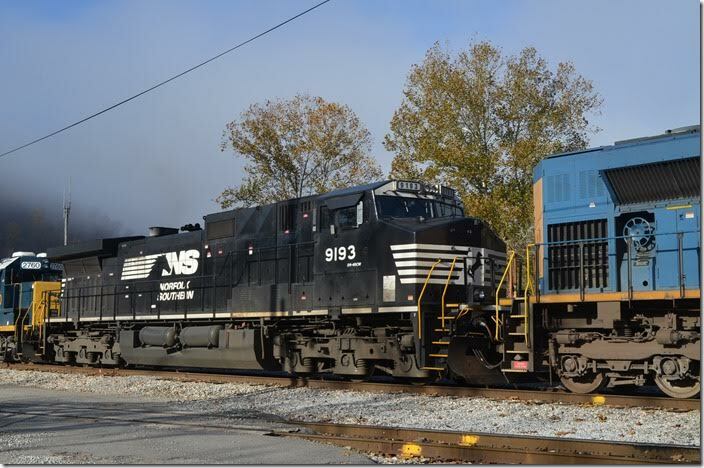 NS Dash 9-44CW #9893 has been upgraded to 4,400 HP. Shelby. 5. 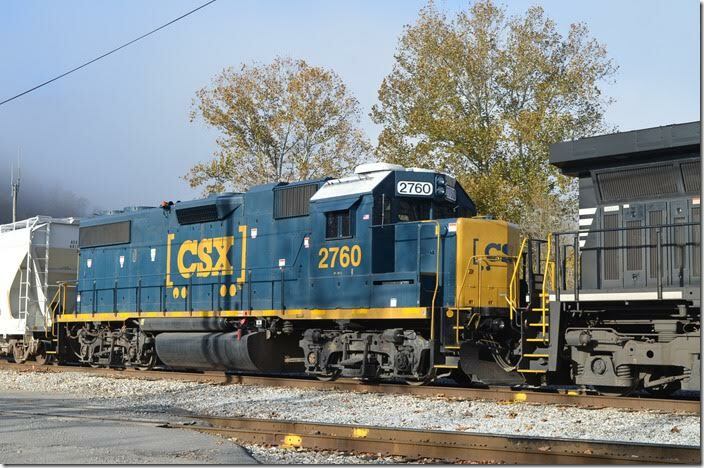 CSX GP38-2 2760. 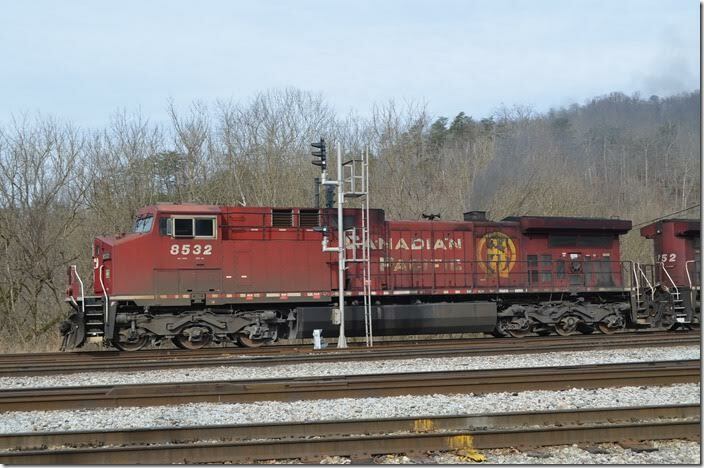 An ex-Conrail GP38-2. Shelby. 6. 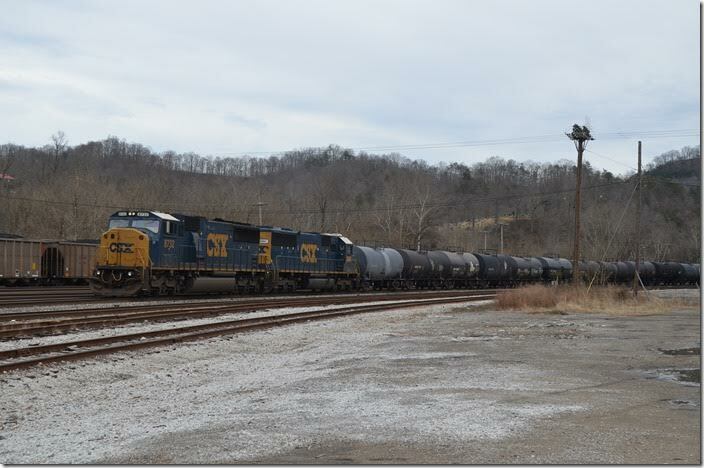 Q698 pulling up to the east end of the yard for a crew change. CSX 4849-9893-2760. Shelby. 11-10-2014. 7. 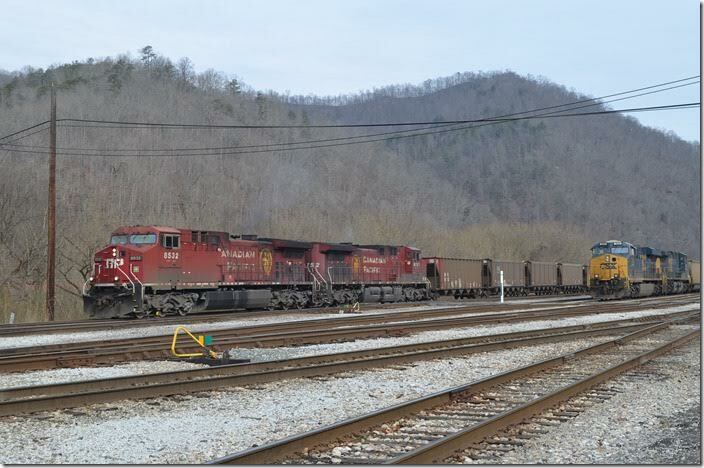 CP SD60s 6257-6242 on petroleum coke train K227-01 (Chicago Bensenville Yard – Rincon, GA) is parked on Track 1 at Fords Branch. 01-03-2015. 8. 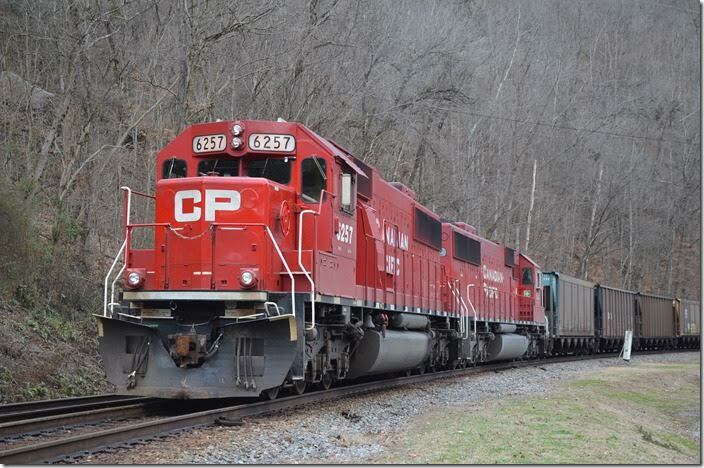 CP SD60 6257, ex-Soo Line SD60, built 1989. Fords Branch. 9. 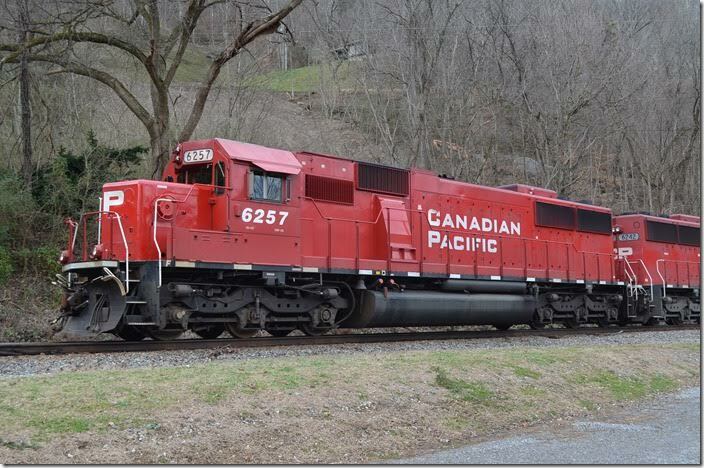 CP 6257-6242 Fords Branch. View 2. 10. 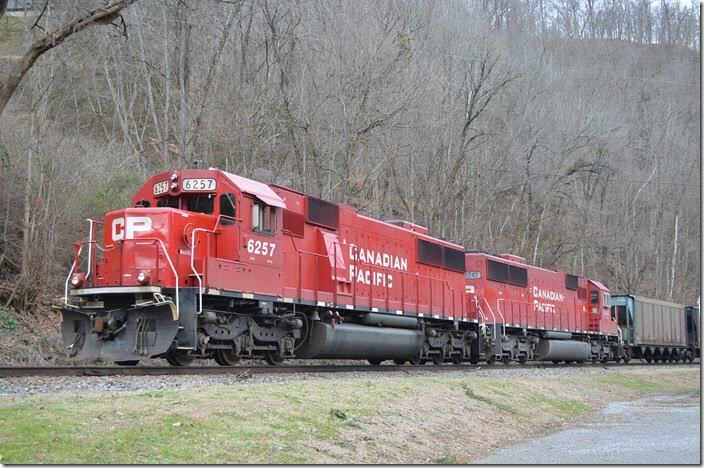 CP SD60 6257 Fords Branch. View 3. 11. 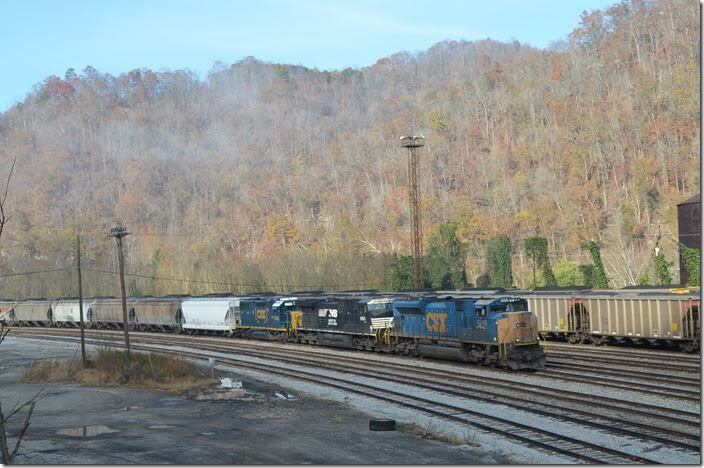 CSX 974 with UP 6443 and 2454 pull empty petroleum coke train K222-31 (Rincon – Chicago UP Proviso) into the yard. Shelby. 01-03-2015. 12. 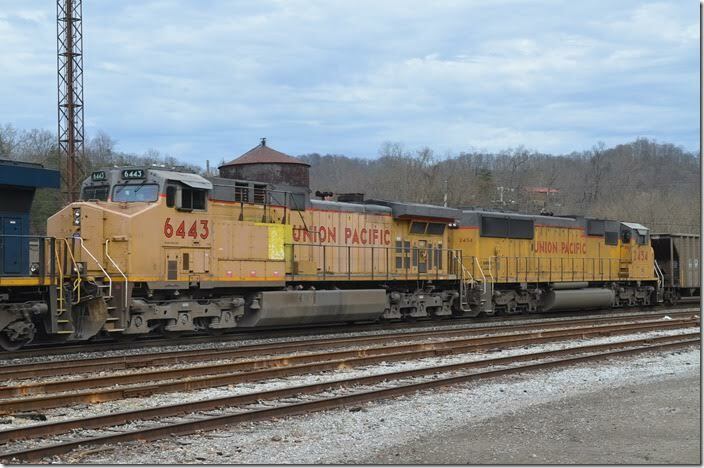 UP AC44 6443 and SD60M 2454. Shelby. 13. UP SD60M 2454. Shelby. 14. With a new crew K222-31 departs Shelby down the switching lead. 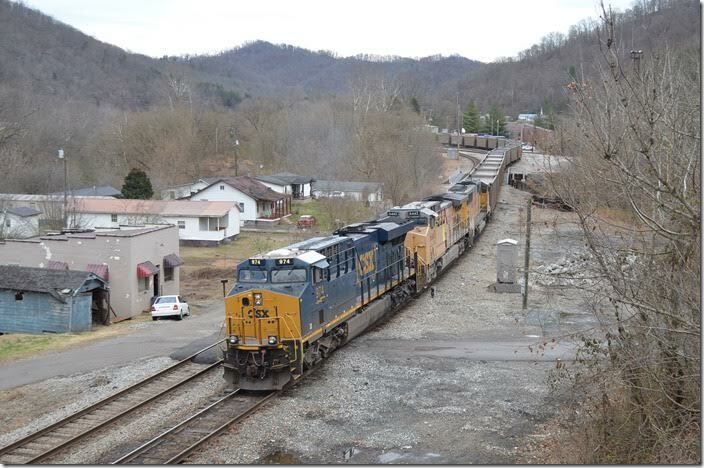 CSX 974-UP 6443-2454. Shelby. 01-03-2015. 15. The trail was composed of SRLX and TILX aluminum rapid-discharge hoppers. 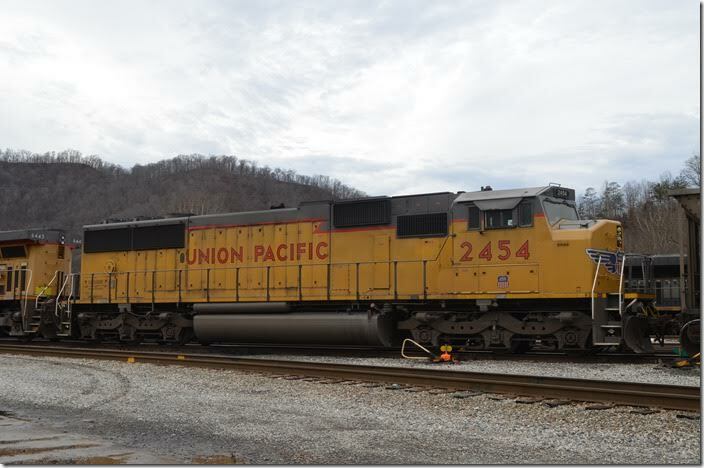 UP 2454-6443-CSX 974. Shelby. 16. This was a real K-train day!!! 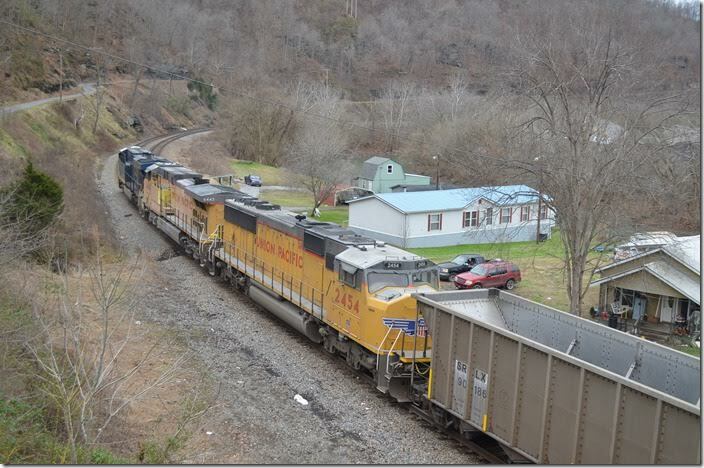 CSX 8732-2584 arrive with 65-car w/b empty corn syrup train K271-31 (Leland-Wilimngton. NC – IHB Blue Island, IL). Most are ADMX (Archer-Daniels-Midland) or lease tankers. 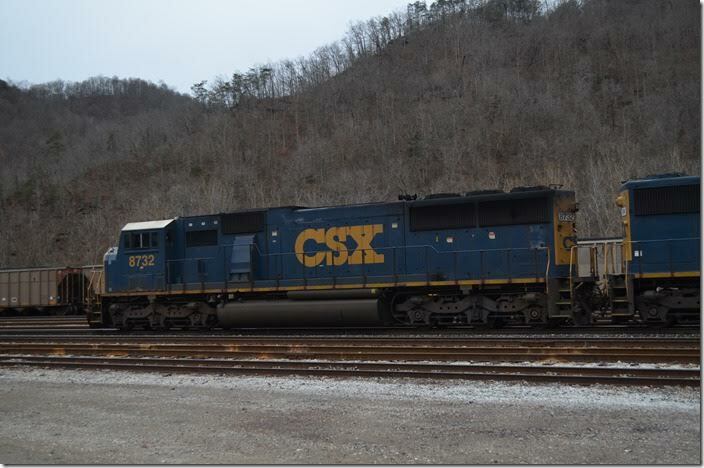 CSX 8732-2484. Shelby. 17. 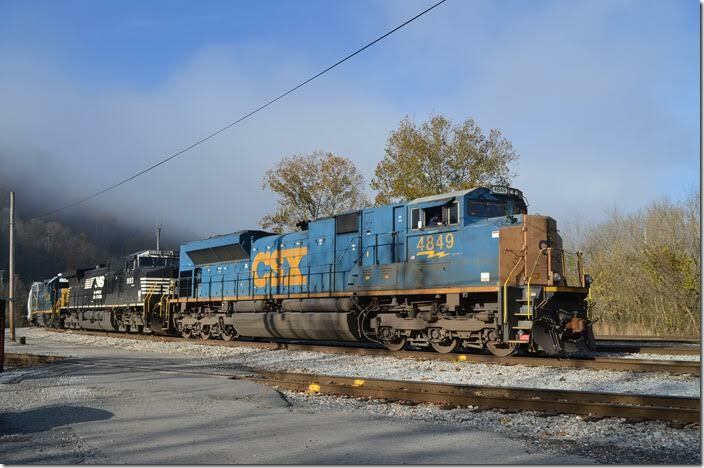 CSX ex-Conrail SD60I 8732. Shelby. 18. 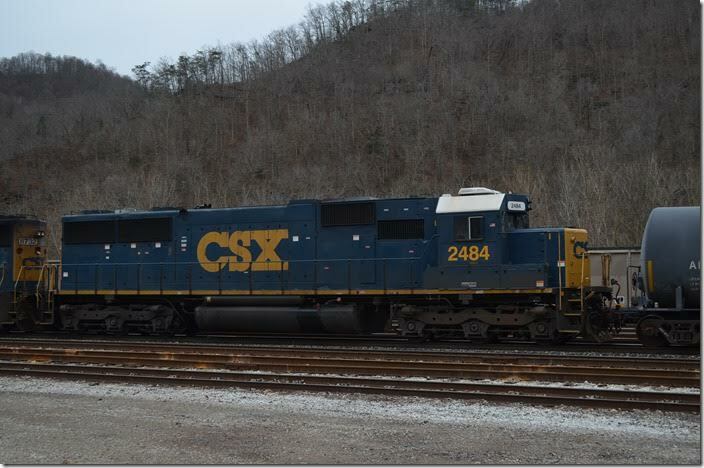 CSX “SD50-2” 2484 is an ex-Conrail SD50 built in 1983. Shelby. 19. 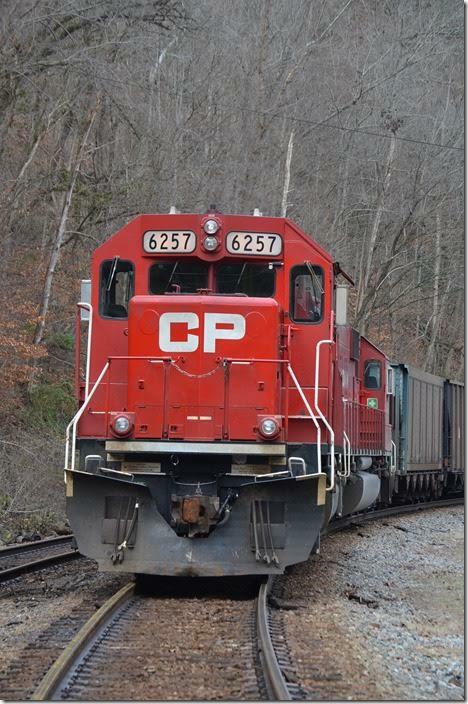 CP AC4400CW 8532-9752 pull to a stop at Shelby with 62-car w/b coal train U820. Shelby. 01-25-2015. 20. 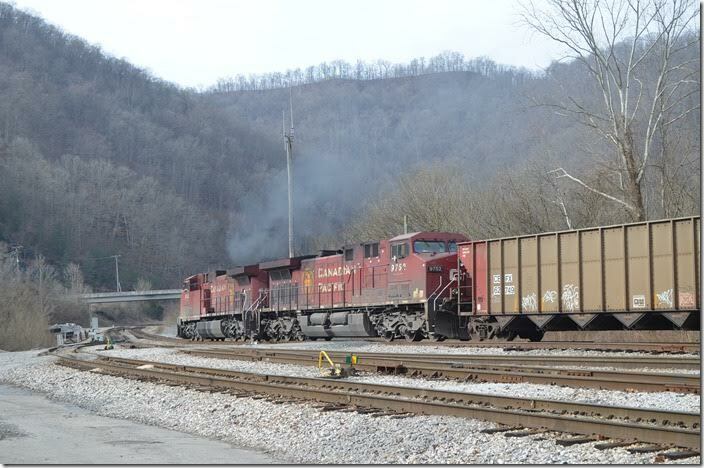 CP AC4400CW 8532-9752 pull to a stop at Shelby with 62-car w/b coal train U820. Shelby. 21. With only 62 cars, U820 accelerates out of town in a hurry. CP 9752-8732. Shelby. 01-25-2015.